A proven AS/400 iSeries based ERP yet providing a rich modern experience to it’s users. Building Supply Chain and Operations Capability has always been important but it is now the critical differentiator for sustainable and scalable success. We help you to realize Supply Chain and Operations performance objectives both for execution and planning processes through BPCS. Secure, managed BPCS services we provide will allow you to deploy applications for your rapidly changing business needs as they happen. With the standard BPCS solutions when application lifecycle management is automated and optimized in a consolidated environment standardized to a high degree, you can keep your costs in control. The expertise in integrative having more than 30 years of experience in operational BPCS services, support and implementation. The BPCS support services are aligned to Cost savings by infuse talent, streamline processes, and Scalable solutions which provides Less complexity by consolidation and standardization. 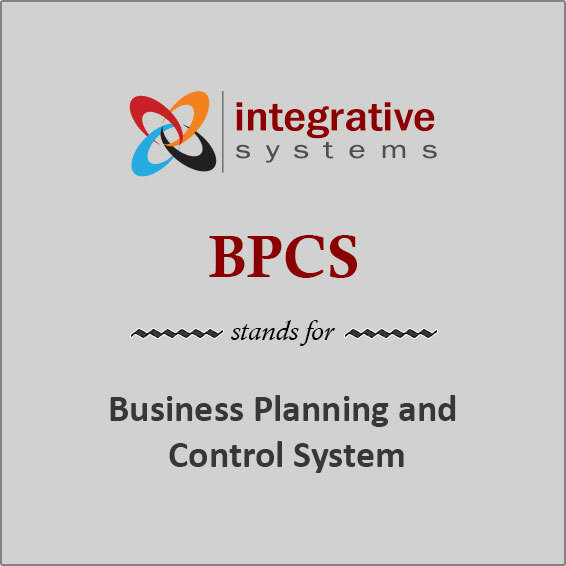 BPCS Enhances organizational productivity and enterprise user experience by focusing on simplifying business processes using its user-centric solutions. There is much demand for Application Development and Maintenance Services, which focus on swift development, testing, deployment and management of high quality software. Enterprises also need effective Application Management Services to maintain and upgrade these apps. Integrative helps to manage connected and intelligent applications with BPCS, which provide a superior user experience, while reducing costs. With this, our customers benefit by way of strong implementation services, enhanced solution delivery, and increased global reach. Integrative leverages expertise in business application technologies to improve operational efficiency, become effective, and gain agility and flexibility across industries and enterprise functions by providing end-to-end offerings in BPCS services.